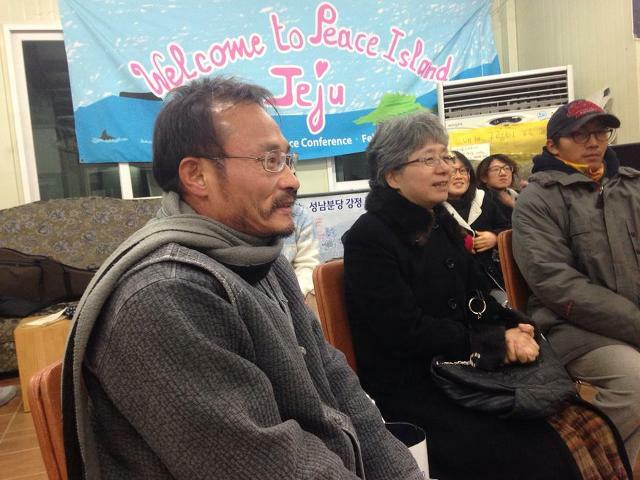 Dr. Song Kang-Ho who has been imprisoned for his opposing activities against the Jeju naval base project for the 3rd time was released on bail on Nov. 29, after 151 prison days. 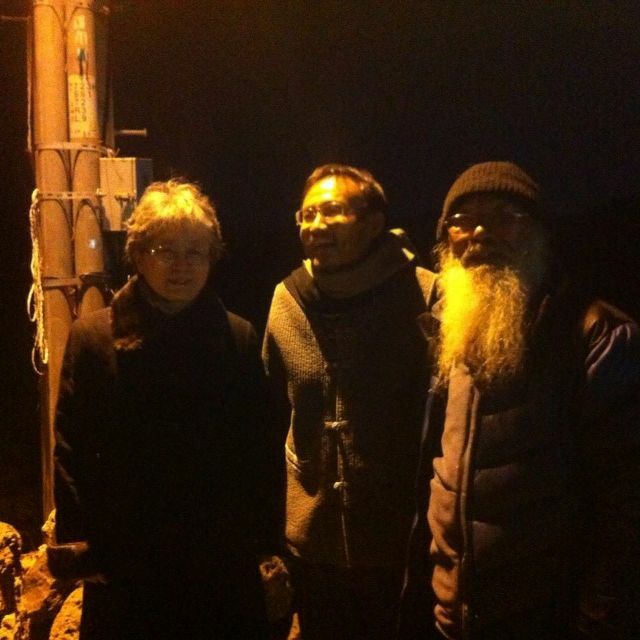 On Nov. 27, the court made a decision of bail on Br. Park Do-Hyun and Dr. Song Kang-Ho. Both had been illegally and unjustly arrested together on July 1, this year. Both refused to be bailed out as the court decision was seemingly too intentionally late and it would not stop them their opposing activities. However, as people strongly urged Dr. Song to be released from jail and paid bailing fee on be half of him without his knowledge, he was eventually released. 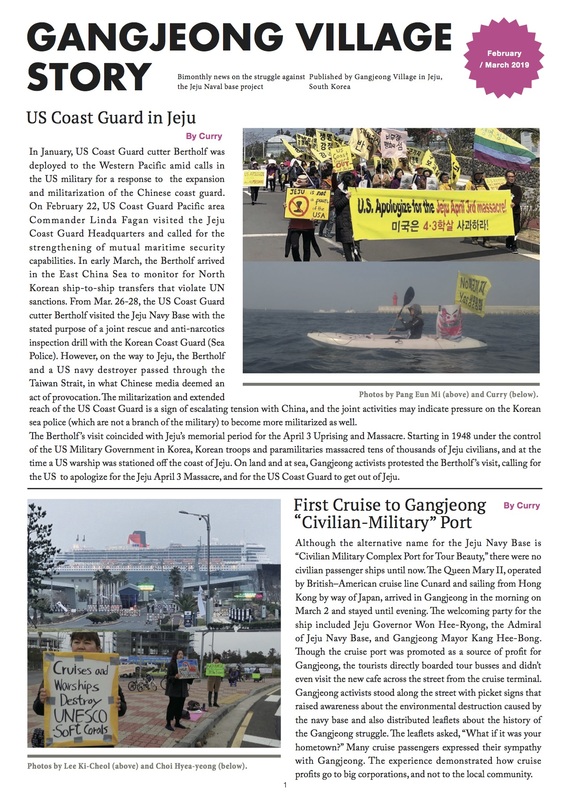 Dr. Song Kang-Ho was briefly imprisoned for two weeks in 2011 and jailed again in 2012. In his second imprisonment last year, he lived in jail for 181 days. 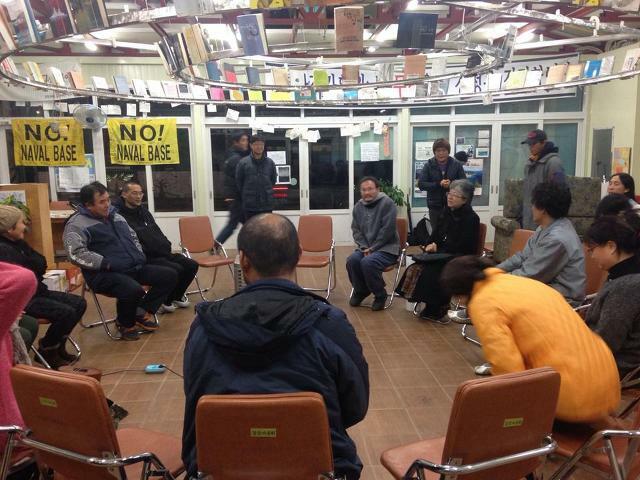 He leads the Save Our Sea Team, a citizens’ monitoring team opposing the naval base project. 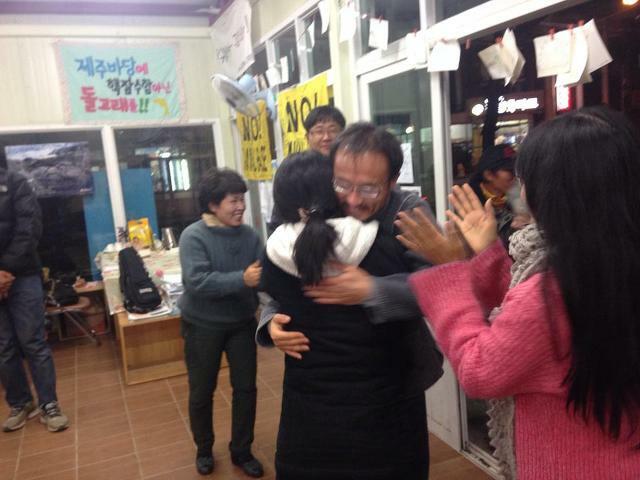 Photo fwd by Save Jeju Now/ Dr. Song Kang-Ho who was released on Nov. 29 was welcomed by his wife, Ms. Cho Jeong-Rae and Fr. Mun Jeong-Hyeon.